The florists in Stonehaven understand that ordering funeral flowers can be a very difficult emotional process, which is why we aim to make it as logistically easy as possible for you. We have a wide range of flower arrangements suitable for funerals, which is why we have dedicated various pages of our site to different categories of funeral flowers, so that you can find what you’re looking for more easily. Hearts and cushions make simple yet sweet tributes for any funeral, making them a great choice for a small flower arrangement for a funeral or memorial. The florists in Stonehaven have over 40 years of experience in the floristry industry, meaning that all of our funeral flower arrangements will be crafted with skill and expertise, which is not often easily found. We use only the freshest, high quality flowers for all of our flower arrangements, including all of our funeral flowers. This high standard of work provided by our florists in Stonehaven means that we are sure our funeral flowers will be suitable for you. We have a wide variety styles and colours available in our hearts and cushions selection, so we are sure that we can provide you with something which will suit your tastes. If you are having any difficulties finding what you’re looking for, feel free to consult the bespoke flower arrangement service which Flowers Stonehaven offers. Our florists would be delighted to hear from you should you have any general queries concerning your order, and we can also take into account any special requests that you might have. We are able to do this simply because we believe that you should be able to tailor your order with us to suit your personal and unique tastes. The dedicated team here at the florists in Stonehaven will carefully oversee your order until it has been safely delivered to you. 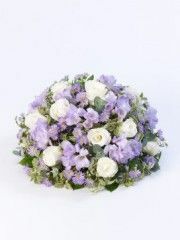 Order beautiful funeral flowers from Stonehaven Flowers today. The funeral hearts and cushions selection from the florists in Stonehaven combines high quality flowers and elegant arrangements to create beautiful tributes suitable for funerals and memorials alike. Here at Stonehaven Flowers we prioritise making sure that your funeral flower order is as easy as possible. The florists will endeavour to ensure your funeral flowers are suitable for whatever it is you’re looking for, we can provide it for you. Flowers Stonehaven operates a reliable flower delivery service in Stonehaven and the surrounding area. We can deliver your funeral flowers to the venue of the funeral or memorial on the day of or before the proceedings take place. The Stonehaven flower delivery service runs six days a week, from Monday to Saturday, so it is easy to get in touch with our team and specify a day when you would like your funeral flowers to be delivered. It is also simple to specify a time slot, either morning or afternoon, for your flower delivery to take place. The florists in Stonehaven also has a same day delivery service available, provided that your order is placed with us by 3pm on the day of question. Stonehaven Flowers is also part of the Interflora brand, which means that we can offer flower delivery services further afield if you require. We deliver to a huge range of locations across the United Kingdom and even abroad, as we are linked with international flower delivery services in 140 different countries across the world. Choose Stonehaven Flowers to provide you with lovely funeral flowers and fantastic customer service. Ordering funeral flowers can be an emotionally difficult experience, which is why the florists in Stonehaven aim to make it as logistically easy as possible for all of our customers. We have a wide variety of funeral flowers, which can seem quite daunting, but we have spent time and effort into dedicating different pages of our site for special categories, meaning that it is easy for you to browse the items which interest you. All of our funeral flower arrangements have been crafted tastefully and elegantly so that they will be entirely suitable for any funeral or memorial. The Stonehaven florists have a great deal of respect for all of our customers, which means that our funeral flower arrangements are of high quality for you. The florists in Stonehaven have over 40 years of experience in the floristry industry, so you can count on us to provide you with funeral flowers which have been arranged carefully and skilfully by our expertly trained professionals. We craft all of our flower arrangements with only the freshest flowers and beautiful styling. The wide range of posies and baskets we have on offer means that we are sure that there will be something amongst our collection to suit your tastes. However, if you are struggling to find exactly what you’re looking for, feel free to consult our bespoke flower arrangement service which is available here at Flowers Stonehaven. 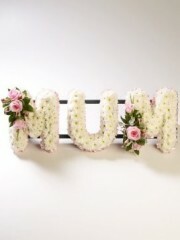 The florists working for us would be delighted to hear from you should you have any queries or requests for us. The dedicated team we have working for us will carefully oversee your order until it has been safely delivered and you are satisfied. Here at Flowers Stonehaven we believe that your order is of the utmost importance, and we will always endeavour to treat it as such. This is just one of the many reasons you should choose Stonehaven Flowers to provide you with beautiful funeral flowers today. The funeral baskets and posies selection from Stonehaven Florists is a wonderful selection of tasteful and sophisticated posies and baskets which will make wonderful tributes at any funeral or memorial. We take great pride in being able to provide a range of colours and styles for our posies and baskets, which means that it is easy to find something which will suit your tastes. The florists in Stonehaven operate a reliable and efficient flower delivery service in Stonehaven and the local area. This flower delivery service operates six days a week, from Monday to Saturday, and is able to deliver your funeral flowers to the location of the funeral or memorial on the day on the proceeding or beforehand. It is easy to get in touch with our friendly team, who are overseeing your order, and specify with them a day on which you would like for your flowers to be delivered. It is also possible to choose a time slot for the funeral flower delivery, either morning or afternoon, and the flower delivery service will also try its best to accommodate for any specific time you mention. The Stonehaven Flower delivery service revolves around what is easy and suitable for you. Flowers Stonehaven is also part of the Interflora brand, which means that we are able to provide flower delivery services further afield if that is what is suitable for you. We offer flower delivery services to a huge range of locations across the United Kingdom, so your funeral posy or basket will be able to reach any destination. Flower delivery services abroad are also possible, as we are linked with international flower delivery services in 140 different countries across the world. Wherever your funeral flowers are destined, ordering them in Stonehaven means that they are by no means limited. Make a wonderful decision by choosing Stonehaven Flowers to provide you with your funeral flowers today. Stonehaven Flowers is proud to be able to offer a wide variety of flowers for you to browse from, and our collection of funeral flowers is no different. We know that ordering funeral flowers can be a daunting and emotionally difficult task, which is why the Stonehaven Florists have spent a great deal of time and effort into creating this categorised collection of funeral flowers for you to choose from. At a funeral, we know that you want only the most tastefully arranged high quality flowers, which is why we only provide you with such. The florists in Stonehaven have over 40 years of experience in the floristry industry, so we can guarantee that the funeral flowers we offer you will be crafted with a skill and expertise which is difficult to find elsewhere. We use only the freshest flowers available here at Flowers Stonehaven, so your funeral flower arrangement will stay fresh and beautiful for as long as possible. The range of special tributes which we have on offer means that you are sure to find whatever it is you’re looking for. However, if you’re having difficulties in finding exactly what you’re looking for, feel free to consult our bespoke flower arrangement service. This way, Flowers Stonehaven will be able to provide you with a truly unique and original flower arrangement for a funeral or memorial. The special tributes we have on offer are designed to add a truly personal touch to any funeral proceeding, and ordering a bespoke special arrangement ensures that you will be able to order exactly what you want. Our florists would be delighted to hear from you should you have any special requests or queries concerning your order, and we will endeavour to ensure that we help you in any way we can. The dedicated team at Stonehaven Flowers will carefully oversee your order throughout its journey with us. For a beautiful funeral flower arrangement, look no further that Flowers Stonehaven. The florists in Stonehaven are delighted to be able to offer a tasteful range of funeral special tributes for our customers to choose from. During this difficult time we want to inform you that we will always be on hand to help, to ensure that your funeral flower order will be as logistically easy as possible. Stonehaven Flowers is also able to offer a range of flower delivery services to enable you to have your flowers safely delivered to you as soon as possible. We operate a reliable and efficient flower delivery service throughout Stonehaven and the surrounding area, so you can count on us to deliver your flowers in a safe manner. The Stonehaven flower delivery service revolves around what is suitable for you, which is why it is simple to specify a day for delivery, as the flower delivery service runs six days a week, from Monday to Saturday. You can also specify a time slot for your funeral flower delivery to take place, either morning or afternoon. The flower delivery service can also deliver your flowers to the venue of any funeral proceeding. Flowers Stonehaven is also part of the Interflora brand, which means that we are able to offer a variety of flower delivery services further afield. We deliver to a huge variety of locations throughout the United Kingdom and even abroad, as we are linked with international flower delivery services in 140 different countries across the world. For a wonderful special tribute with excellent flower delivery services, choose Stonehaven Flowers today. Here at Stonehaven Flowers we take great pride in being able to cater to all of your needs, which is why we have created such a varied selection of funeral flower arrangements for you to choose from. The selection of sprays and sheaves we have on offer contain a range of colours, styles and different flowers for you to choose from, ensuring that we are able to offer something which will please all tastes. The florists in Stonehaven know that ordering funeral flowers can be an emotionally difficult process, which is why we aim to make it a logistically easy process for you. The sprays and sheaves we have on offer are both tasteful and sophisticated, making them beautiful additions to any funeral proceeding. The Stonehaven florists have over 40 years of experience in the floristry industry, ensuring that the funeral flowers you order are of the highest quality, and crafted with skill and expertise. We use only the freshest flowers available for all of our flower arrangements here at Stonehaven Florists, so your funeral flower order will stay fresh and beautiful for as long as possible. The florists would be delighted to hear from you should you have any queries or special requests concerning your order, as we would be delighted to help in any way possible. If you cannot find what you’re looking for amongst the selection we offer, do not hesitate to contact our friendly team at Stonehaven Flowers, who can lead you to consult the bespoke flower arrangement service which we offer, ensuring that you will purchase a funeral spray or sheaf which exactly suits you. Our dedicated team will carefully oversee your order throughout its journey with us, and we will not rest until it has been safely delivered and you are satisfied. This is all part of the incredible customer service which Flowers Stonehaven offers. For a tasteful funeral spray or sheaf, choose Stonehaven Flowers today. The florists in Stonehaven are dedicated to providing a wonderful service for all of our customers, which is why our funeral flower selection is designed around providing beautiful funeral flower arrangements to meet all of your needs. Sprays and sheaves are a classic and tasteful choice for any funeral or memorial, and our range includes a selection of different colours styles and flowers, meaning that you will easily be able to find something to suit your tastes. Flowers Stonehaven offers a fantastic flower delivery service throughout Stonehaven and the local area, ensuring that your flower order will be safely delivered to you. The flower delivery service operates in Stonehaven six days a week, from Monday through to Saturday, so you can easily specify a day for delivery which suits you. Choosing a time slot, either morning or afternoon, is also possible. The flower delivery service is also able to deliver your spray or sheaf to the venue of the funeral or memorial proceeding, facilitating your order for you. Flowers Stonehaven is also part of the Interflora brand, which means that we are able to provide a range of flower delivery services further afield. We are able to deliver flowers to a huge range of locations across the United Kingdom, and even abroad. We are linked to international flower delivery services in 140 different countries across the world. Wherever your funeral flower are destined, ordering them with the florists in Stonehaven guarantees that we can deliver them for you. Beautiful funeral flowers are closer than you think with Stonehaven Flowers. Wreaths have always been a classic choice for honouring the memory of a loved one, which is why Stonehaven Flowers have dedicated time and care into creating this selection of wreaths for you to browse from. We understand that ordering funeral flowers can be quite a daunting task, and as the florists in Stonehaven have a huge range of funeral flowers which we can offer, we have split our selection into smaller categories to allow you to find whatever you might be looking for more easily. The florists in Stonehaven have over 40 years of experience in the floristry industry, so you can count on us to craft your wreath with a level of skill and expertise which is difficult to find elsewhere. Our florists use only the freshest flowers available to us, so we can guarantee that your wreath will be of fantastic quality and will stay beautiful for a length of time. We are determined to maintain high standards of customer service, which is why we value clear communication with all of our customers. Should you have any queries or specific requests concerning your order, do not hesitate to get in touch with our florists, who would be delighted to help in any way possible. As mentioned, we have a range of wreaths on offer, but if you’re struggling to find exactly what you’re looking for please feel free to consult our bespoke flower arrangement service which we offer. This ensures that the florists in Stonehaven will be able to provide you with something truly unique and original. Our dedicated team will carefully oversee your order until it has been safely delivered to you and you are satisfied. This is all part of the tailored service which Flowers Stonehaven offers to meet all of your needs. For a tasteful wreath which will be truly fitting for a funeral, choose Stonehaven Flowers. The tasteful range of funeral wreaths the florists in Stonehaven offer is something we truly pride ourselves on. We are dedicated to meeting all of your needs, which is why we craft all of our flower arrangements with only the freshest and highest quality flowers available to us. Furthermore, we are delighted to be able to provide a flower delivery service in Stonehaven and the surrounding area. This flower delivery service operates in Stonehaven and the local area six days a week. The Stonehaven flower delivery service is designed to cater to all of your needs, and we are happy to take into account what works for you. You can inform our team of a day from Monday to Saturday which would suit you for your flower delivery. It is also possible to choose a time slot for your delivery to take place, either morning or afternoon. Furthermore, we would be delighted to help by delivering the wreath or any other funeral flowers to the venue of the proceedings. Flowers Stonehaven is also part of the Interflora brand, which means we can offer flower delivery services further afield if you so require. We are able to deliver your wreath to a huge range of locations across the United Kingdom, and even abroad, as we are linked with international flower delivery services in 140 different countries across the world. Wherever your funeral wreath is destined, choose Stonehaven Flowers to deliver it for you. 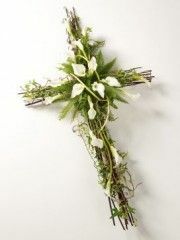 Striking white Calla Lilies and Ivy are entwined around Cornus stems and Fern leaves to create this contemporary cross. This pillow-shaped design, approximately 20 inches across, has a woodland theme and includes large-headed red Roses, white Calla Lilies and an array of greenery. A mass of white Double Spray Chrysanthemums is finished with delicate flower sprays of Roses and Alstroemeria in soft pinks to create this Mum Tribute. The expertly trained florists at Stonehaven flowers can help you to get the funeral flowers that are appropriate for you at such a difficult time. Stonehaven flowers florists can deal with your order with the suitable sensitivity that you need to ensure that the organisation of your funeral flowers can be dealt with in the most hassle free way possible. Simply phone our florists or come into the shop to discuss what you would like and Stonehaven florists can deal with the rest. We guarantee beautiful fresh flowers of the highest quality at Stonehaven flowers as we get flowers delivered into the shop several times weekly from Holland so only the freshest flowers will be used. Many of our products at Stonehaven flowers are arranged in oasis- a foam florists use to hold the flowers in the arrangement but also has water in it to keep the flowers hydrated so that they will stay fresh and looking beautiful for longer. Stonehaven flowers has a wide range of funeral flowers available from casket tributes to sprays and sheaves to wreathes, Stonehaven flowers is sure to have something that fits all of your requirements. If there are any tweeks that you would like to make, Stonehaven flowers will be happy to arrange something to ensure that what you get is most suitable for you. The expert delivery team at Stonehaven florists can ensure the safe delivery of your funeral flowers to your selected destination. The Stonehaven flowers delivery team have an excellent knowledge of the local area but we can also organise for your orders to be delivered anywhere in the United Kingdom and also we deliver to 140 countries worldwide through our vast floristry network. 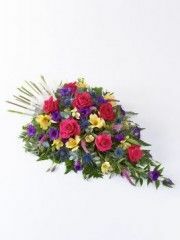 Stonehaven flowers can organise to have flowers delivered on the same day if you order before 3pm.